Jávea (Xàbia in Valencian) is a coastal town in the province of Alicante, Spain. 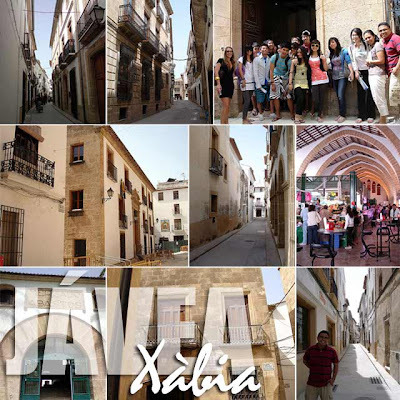 It's about an hour from Valencia and we went there for our first out-of-town excursion. 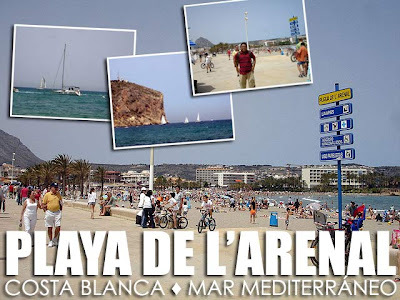 There was a fiesta in town today since every May 3, Jávea celebrates the feast of the Nazareno. It's the day when the image of the Nazareno is returned from the San Bartolome Church to the Calvary Chapel. But we weren't able to watch the procession since it was still in the evening and we would be back in Valencia by then. 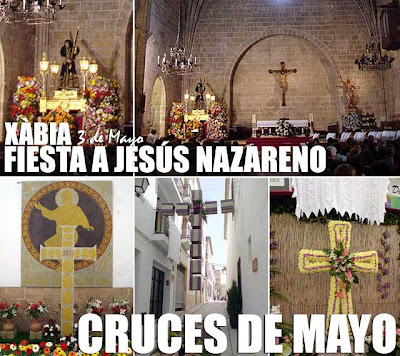 The streets of the town were also decorated with bright and colorful crosses made of flowers since Spain celebrates the Cruces de Mayo (Creus de maig in Valencian) also on May 3. I enjoyed walking around the narrow streets of the town since they gave you the feeling of age. 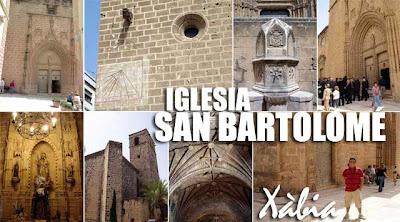 Listed as a National Historic Monument of Spain in 1931, the fortress-church Church of San Bartolome (Església de Sant Bertomeu) dates back to the late 14th Century and is one of the finest examples of Late Valencian Gothic architecture. But parts of it may be much older than that. Beside it is the town hall which is as old as the church. We also dropped by the municipal market where we got some snacks and the Palace of Antoni Banyuls (Palau d'Antoni Banyuls) which is now the municipal museum. We didn't stay long though since the group was excited to go to Arenal Beach. 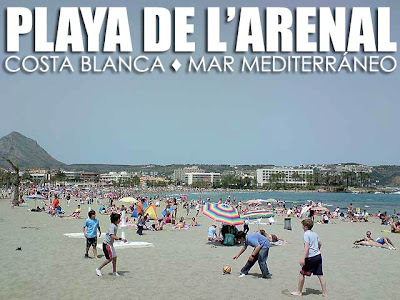 Platja de L'Arenal is located in Costa Blanca which forms part of Spain's Mediterranean coast. The beach is flanked by a promenade of shops, bars and restaurants which was a perfect place for us to have lunch. But just like the other day, it was a bit cold for a swim. So we were just content lazing around under the sun.